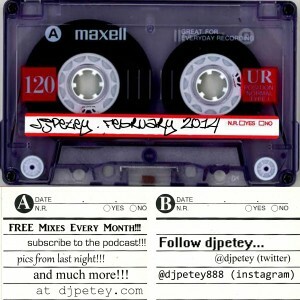 February 2014 Mixtape – FREE DOWNLOAD! | DJPetey.com!!! 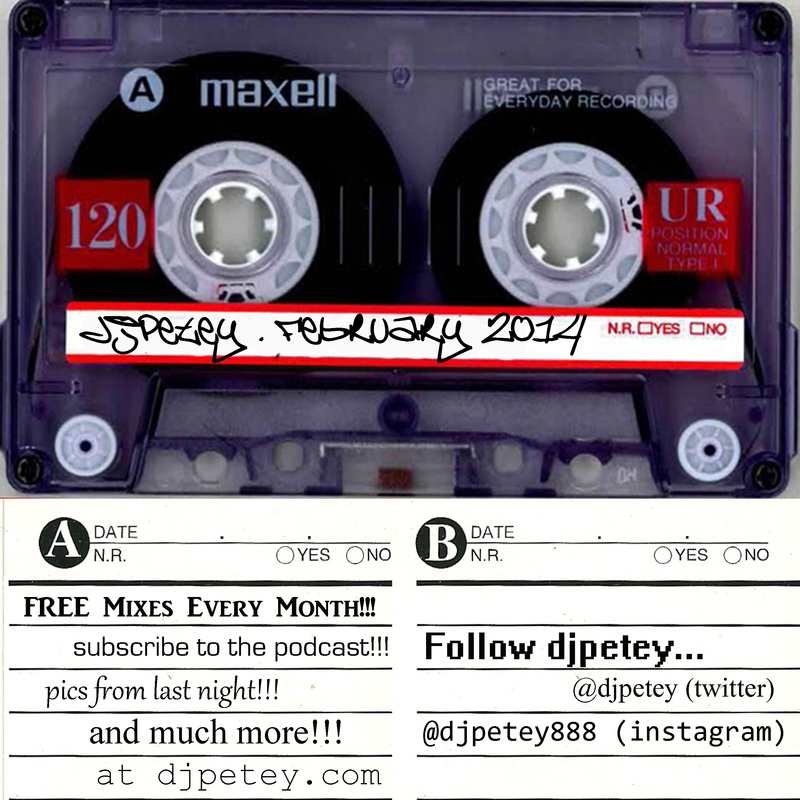 February 2014 Mixtape – FREE DOWNLOAD! So… for the past couple months, Ive been putting out a TON of music. I’ve been going off on tangents and doing lots of specialized mixes, etc etc. But, the February 2014 Mixtape is HERE! No gimmicks. No concepts. Just a straight up 75 minute mix of BRAND NEW MUSIC! As always, its a FREE DOWNLOAD here at djpetey.com. So, lets get to it. First off, if you wanna check out the track listing, just click “read more” below. If you wanna download or listen to the mix now, click HERE (right click, save as to download – left click to listen now). If you are a podcast subscriber, you should already have it in your itunes. If you are not a podcast subscriber, you should be! Click HERE for info on how to do that (also 100% FREE)! Thats about all there is to it. Im excited about this year. We’re gonna take things up a notch. Stay tuned!